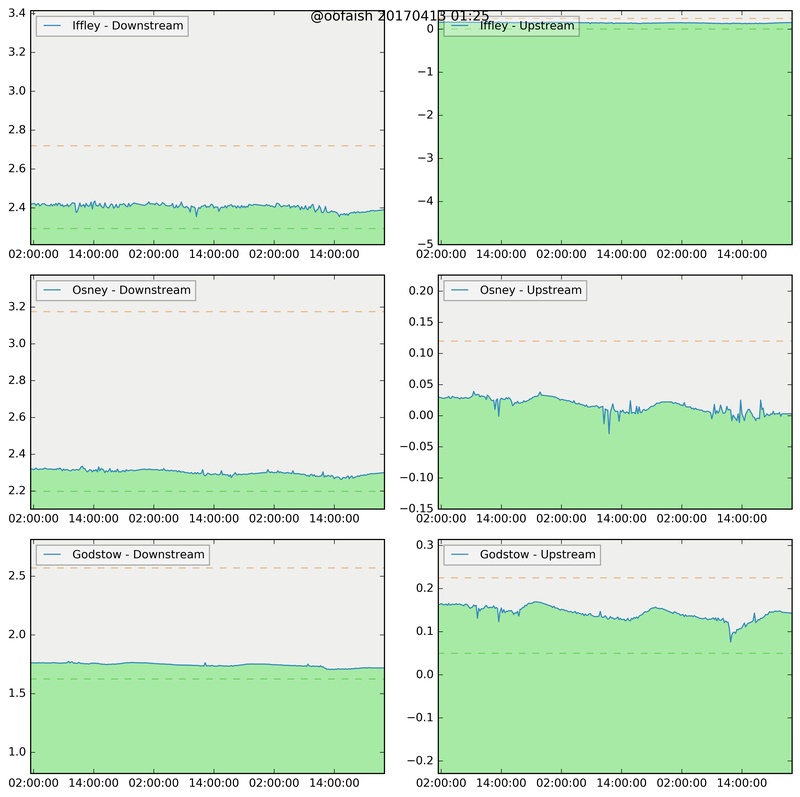 Near real time river levels at various locks around Oxford from the Environmental Agencies website, updated every 30 minutes. If you spot any problems or have any suggestions, ping me. Dotted lines are the typical 'High' and 'Low' range as defined by the EA, but I do not know how these are calculated. The Y-axis is the river levels in m, but again, as defined by EA, so different locations are not comparable as far as I can see.